“I’m tired of people talking. You’ve just got to do it,” says Catherine Morris, founder, curator and executive director of the Boston Art & Music Soul Festival, which debuts from noon to 8 p.m. this Saturday, June 23, in Boston’s Franklin Park. With musical and spoken-word artists performing on two stages at Playstead Field along Pierpont Road, plus live art, graffiti painting, food and vendors, the free festival “aims to promote, connect and celebrate Afro-centric culture, heritage, and contributions to the American fabric as expressed through art, music, food and entertainment with a global community.” In doing so, they’re looking to reimagine the possibilities and future of Boston—by making it happen, by serving as a model. The lineup ranges from R&B to funk to soul to spoken word to fusion, beginning with headliners Kindred the Family Soul, Aja Graydon and Fatin Dantzler’s wife and husband neo soul duo from Philadelphia. 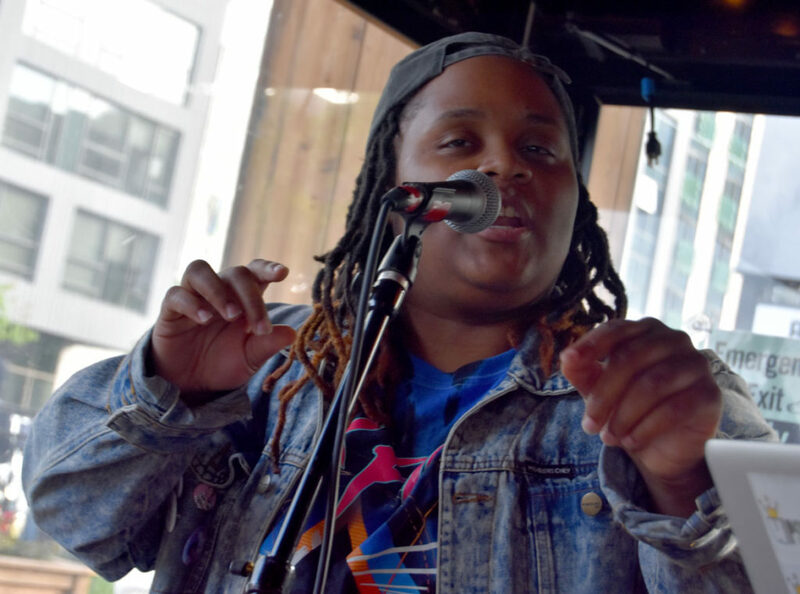 Rising local rappers include STL GLD (two-time Boston Music Awards Hip Hop Artist of Year Moe Pope’s partnership with producer The Arcitype), Oompa, Latrell James (pictured at top performing at the 2017 Boston Music Awards), and Billy Dean Thomas. Morris describes singer Valerie Stephens as “Nina Simone meets hip-hop” and Niya Norwood as a “powerhouse soul singer.” Spoken word artist Jha D is the founder of “If You Can Feel It, You Can Speak It,” which launched eight years ago as the first monthly open mic in Boston dedicated to the voices of the LGTBQIA communities of color. And then there’s Dzidzor Azaglo, Ballad, DJ Bobby Bangers, Marcela Cruz, Alonzo Demetrius & The Ego, Tamara Goldinella, Dom Jones, The Lightworkers, Rex Mac, RickExpress, D. Ruff, Sam Trump, and The Woo Factor Band. The festival is also their answer to the challenges of making culture in Boston because of systems and policies, city departments that don’t talk to each other, racism and sexism and classism and abelism, the favoritism and lack of funding that often frustrate artists and event producers. “We can easily be separated and segregated. I’m trying to make sure a festival like this brings people together,” Morris says.